Hybrids--they're all around us, at least here in Boulder, Colorado. The parking garage at a local mall even has specially-reserved spots for hybrid automobiles. I confess I'm drawn to hybrid cars, wondering if someday my next vehicle will run on this novel blend of electric- and petroleum-powered engines. Of course, hybrids aren't without their challenges, apparently. They tend to be more costly than regular cars, less widely available, and offer slower acceleration. Plus, they're often smaller and less safe in collisions. They even need their batteries replaced at some point, which can be costly. 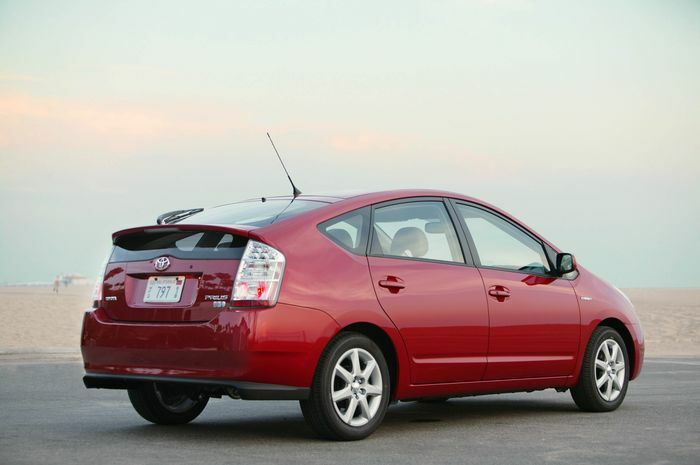 Hybrids are great; but they have their challenges. I've been thinking about human origins recently. As I tend to read the creation accounts of Genesis 1-2 theologically, instead of literally, I've wondered about homo sapiens and its development from other hominids. If we accept evolutionary hypotheses, what, for instance, is the common ancestor we would have had at one point with the apes? At what time did God possibly breathe into human beings a living soul (Genesis 2:7)? Could this have been the point at which the image of God in human beings was sealed and confirmed? If so, then we are hybrids of the highest order: eternal souls from God indwelling created bodies which share many features in common with lower animals. We are rational, spiritual...and carnal creatures, every one of us. And herein lies the challenge of hybrids. Our animalistic urges, possibly those lodged in the so-called "Reptilian brain", that section where fear and other primitive impulses originate, move us to breed, fight, dominate, and slake our appetites. Our higher qualities, those which stem from our origin in the image of God, move us toward morality, self-sacrifice for another's good, altruism, and unconditional love. We are eternal spirits inhabiting animal bodies. We soar...and we crawl. We sacrifice for others...and we serve ourselves. Human history is the narrative of these challenges. Without the superintending of our higher selves, we can yield to animal behaviors. This is the challenge of living as hybrids. But this challenge is exacerbated by what the Bible teaches as "original sin." Created as hybrids in the image of God, we were given freedom to choose loving relationships of service to God and others. However, the Bible says we've abused our freedom, chosen to worship and serve ourselves and into our hybridized challenges we've injected sin, this self-serving, destructive impulse. Sin, infecting our human spiritual DNA, makes it even more challenging for us now to reign in the animal impulses which course just beneath our consciousness. This is our reality, as hybrid human beings. And it's into this reality that the Ultimate Hybrid comes, the God-man Jesus Christ. He is the one who bears the untainted image of human beings made in the image of God (he's fully human, in the best sense). And he is the one who uniquely bears the image of God (he's fully divine--Colossians 1:15). He alone can reign over the history of turmoil between these higher and lower impulses, especially the strife created in our fall from grace due to original sin. Jesus alone, in his life, death, and resurrection, can fully heal, redeem, purify, and perfect the hybrid human being. It's a process which begins now in this life as we come to him in humble faith; and it's one that will thankfully be fulfilled in the life to come.